Most writers will be able to look back over their lives and remember the moment when they realised that writing was what they wanted to do. That moment for me came, perhaps, earlier than most. 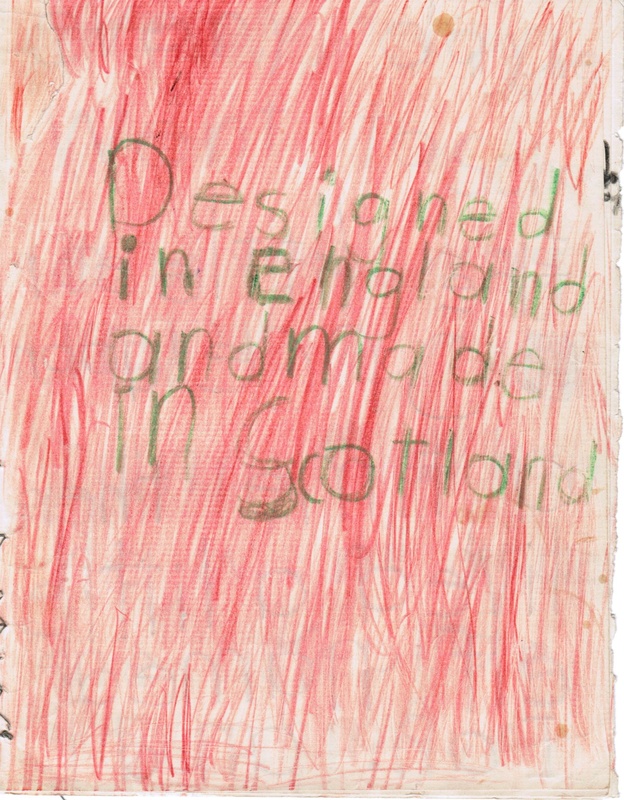 I wrote my first book aged four. My parents had taught me to read and write even before I went to school, and something inside me, even at that early age, was impelling me to tell stories. The book was called “The Little Elf”, and was nearly 120 words long, scrawled over eight pages in black crayon. I even created a cover for it, and sewed the pages together (with help, I guess, from my mother). I still have it. My very first story. At school I always loved to create a short story when asked to write an essay in an exam. In my Higher English exam – the last before leaving secondary school – I got so engrossed in writing a short story about a man without papers travelling on a train through Franco’s Spain, that I didn’t leave nearly enough time for the rest of the exam. By then, of course, there was no doubt at all in my mind that I would be a writer. I suppose the clinching moment came when returning from a holiday in Spain with my family. I was fourteen years old, and had just met the first love of my teenage years. She was a Spanish girl, Maria Nurita Sanchez Pradell, on holiday with her family from Barcelona where her father was a lawyer. I spent the whole holiday in the company of Nurita and her sister Christina, and a Scottish boy we had met called Ian Brockie. It was a holiday that changed the course of my future life. Inspired by the strange teenage hormonal feelings aroused by the encounter, I wrote my first real book. It was around 50,000 words long – a fantasy romp about the teen band I then played with, and the two Spanish sisters. It was called “The Aristokrats in Spain” (The Aristokrats being the name of the band). Of course, the book was never published (and didn’t deserve to be), but was an experience that drove me on to write more, eventually having my first book published ten years later. Such was the influence of that encounter in Spain, that I was first attracted to the girl I went on to marry because she looked like Nurita. A mistake, as it turned out. Although the one good thing to come out of it was my beautiful daughter Carol who, had it not been for that serendipitous Spanish romance, would never have existed. The rest, in a sense, is history – journalism, television, books… But all of it driven from something innate, and a chance meeting at a Spanish hotel in the early sixties. Although we corresponded for some time after that holiday, I never did meet Nurita and her sister again, and she will have no idea how she inspired me to write, and changed my life forever. Chances are she probably doesn’t even remember me. But there is one sad coda to this tale. Ian Brockie, whom we hung out with during that holiday, came from Wigtownshire in the south-west of Scotland. He and I did meet again. I went to stay with him at Wigtown and visit his family’s holiday cottage at the Isle of Whithorn (I also overnighted at that cottage some years later with members of the band after we had played a gig nearby). He came to stay with me in Glasgow. The last time I set eyes on him, however, was at a Free Concert in Glasgow in 1970, in the outdoor arena at Kelvingrove Park. I had just embarked on a college course in journalism, and he was studying to be a mariner. And then we lost touch, and I never heard of him again. Until many years later, when living in a small village in South Ayrshire, two elderly women stopped in at the local pub where I was lunching one day. With something like amazement I realised that one of them was Ian’s mother. I made myself known to her and asked after her son. Her face clouded and she told me that he had been in a serious car accident, and was now confined to a wheelchair. Fate leads us off in such very different directions. And now I find myself coming full circle. 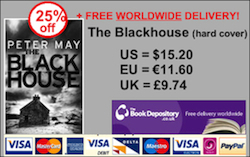 On Sunday I set off on a trip to Barcelona to promote the Spanish translation of “The Blackhouse”, back to the home of the girl who sparked it all off. What an amazing twist of fate it would be if we were to meet again. But I know that will never happen, and I can’t help but wonder whatever happened to Maria Nurita Sanchez Pradell. Well, she certainly made an impression on you eh! Well, you’ve been doing enough writing lately to make up for it, Carol!